Free to go, the atmosphere is amazing. It’s funded by local business sponsorship and donations when you get there. I’d compare it to Glastonbury for the atmosphere side of things, though the majority of punters are 30s – 50s. That said, there’s a good representation of youf most of which go along with their families or mates and have been going for years. The ways the festival is *not* like Glastonbury is that it doesn’t have massive headliners (albeit some very talented acts) it doesn’t take you ages to get from venue to venue and the only illegal activity looks like the occasional bit of double parking. So it’s right up my street. Format wise, it’s like the Camden Crawl in that loads of pubs, halls and shops open their doors to music from lunchtime until 11ish. There’s a lot of folk, rock, jazz and acoustic – the sort of stuff you’d expect from a festival by the sea. Every corner you turn, there are people playing something and everyone’s up for a good time. My top acts were acoustic fella, Albert Jones and funky / hip hoppy (?) band, Land of the Giants. Check out how they wrapped up the last gig on the main stage. Accommodation’s booked for next year. See you down the front. 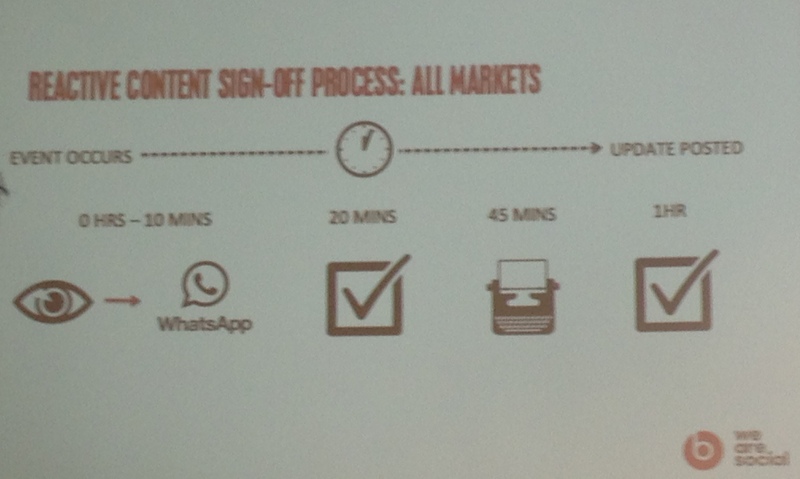 Yesterday, a few of us from ONS’ User Insight and Engagement team went along to MeasureFest. (I talked highly of the last one, and as a result of that session in October we’re in the final throws of building a real time scatter graph in tablaeu which merges message tags appended to URLs we publish on social media with web analytics data – so we can see patterns in what works and what doesn’t). Anyway, whilst I’m not sure this one was *quite* as great as the last (for me anyway), I thought I’d share the notes I made as a lot of good things were brought up. Merging on and offline databases into one view was mentioned by Andrew Hood and perhaps is something more fitting for a commercial organisation or government department that deals in transactions. ONS isn’t either of those, but to overlay data we can scrape from social and that from our call centre would make for some very robust insight in to how we can better service our users. Craig Sullivan (the Malcolm Tucker of the conversion rate optimisation world) gave a great presentation on 20 common ‘mistakes’ made in AB testing. Here are the slides, note the language is colourful at times and I used ‘mistakes’ here rather than Craig’s original title! External data sources was talked about as well. I really like the idea of pulling in sources such as the weather (as Simo Ahava talked about), and seeing what effect that has on behaviour. Again, not for ONS and it was also suggested (by Andrew Hood) not to get too hung up on feeds like this for risk of talking yourself into hypotheses. But for where there is a clear connection between an external data source and an organisation’s proposition, I can see the benefit. Using social data as an insight tool was the final chunk of the day. Rebecca Carson talked through Brandwatch’s take on the evolution of social media analytics. Rebecca talked through how thinking has moved from volume and sentiment, to understanding. (This is all good, though *a lot* needs to be done by the industry to inform users that this is one way their data are used – a year old but NetBase’s study on privacy is worth a read to remind us all how big brother this stuff could get). …which are, of course, age old user research issues. In fact, it’s interesting to note that this number crunching-focused event didn’t have a session or two on the more established methods of user insight such as eye tracking and interviews. For me, that balance would make MeasureFest an even better event. 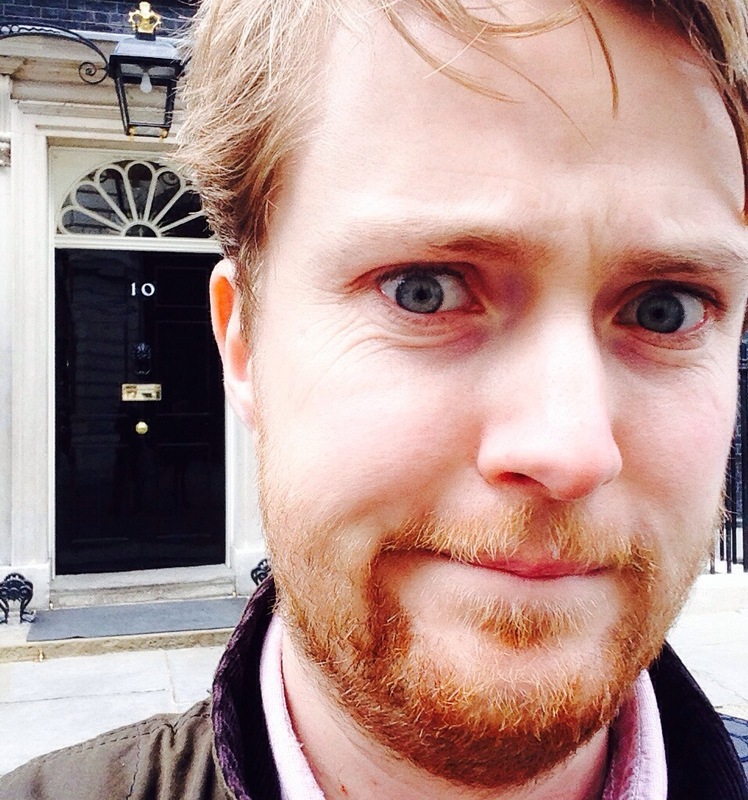 So today was my last day at No10. 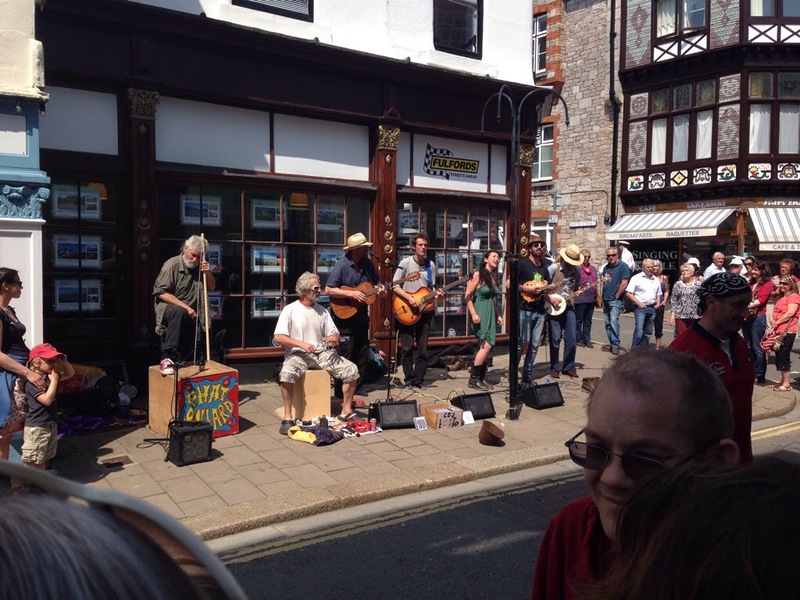 For the first time ever, I kept a diary (using Day One), and as I pootle down to the west country for Dartmouth Music Festival this weekend, I thought I’d write up my thoughts. It’s pretty crazy to walk around No10 like it’s any other office. And it is that, a normal functioning office with a very famous front door, albeit there are two, one is in use and the other in storage. The building’s referred to as ‘the house’ because that’s what it was when first built and continues to be for the PM and his family. 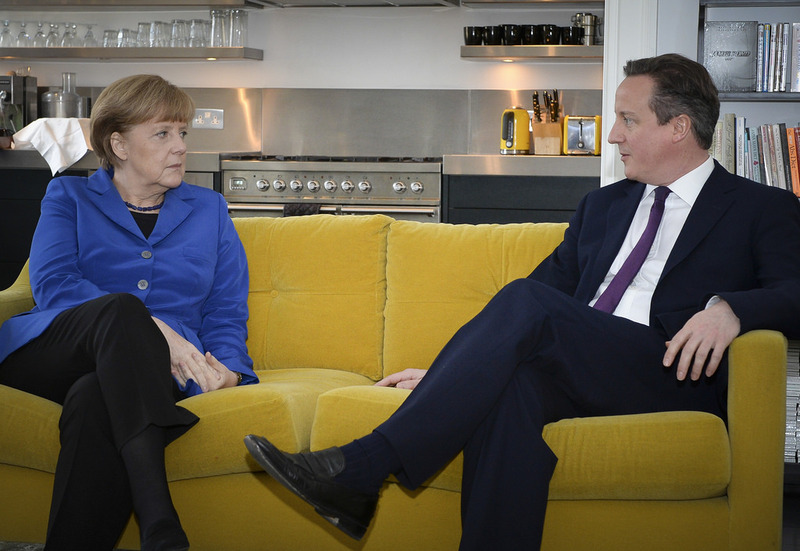 Here he is chatting to Angela Merkel in the flat. There is masses of history to the building and I was lucky enough to have a private tour with a colleague who absolutely loves its history. The 24 hour news cycle was in full swing and sadly I didn’t come across a Malcolm Tucker character. The grid is a great, pithy way of keeping informed on what’s going on. And as you’d expect, there’s a lot going on. On my first day, there was a reception at No10 for the PM to thank some ‘flood heroes’ after their valiant work during the winter floods. Another reception was in the garden, to launch an initiative of every school receiving a packet of poppy seeds to plant and remember the fallen of WWI, as the centenary comes up this summer. You can’t help but be impressed at the PM’s (past and present) ability to remember so much and his/her stamina to be on the go all the time. Anyway with receptions like this, the aim of the game is to capture the content and get it live toot de suite. At ONS, I don’t have to get involved with publishing website content, so it was good to get to grips with GOV.UK’s wonderfully simple CMS. One page went all BuzzFeedy, and I made a ‘listicle’ – GOV.UK’s first. The rolling content churn was fun, but my head is more interested in strategic stuff so I suggested we should get to know our users better and understand their needs and wants. The first phase is done and has drawn some interesting conclusions that need exploring. A shame I can’t be around for future phases, but I’m pleased to have my name against it, nonetheless. 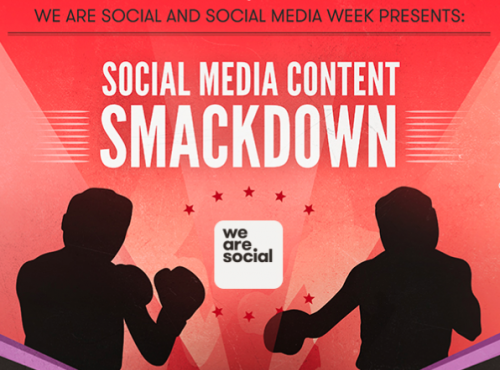 I also went along to We Are Social’s #socialsmackdown for a few hours and blogged about it. 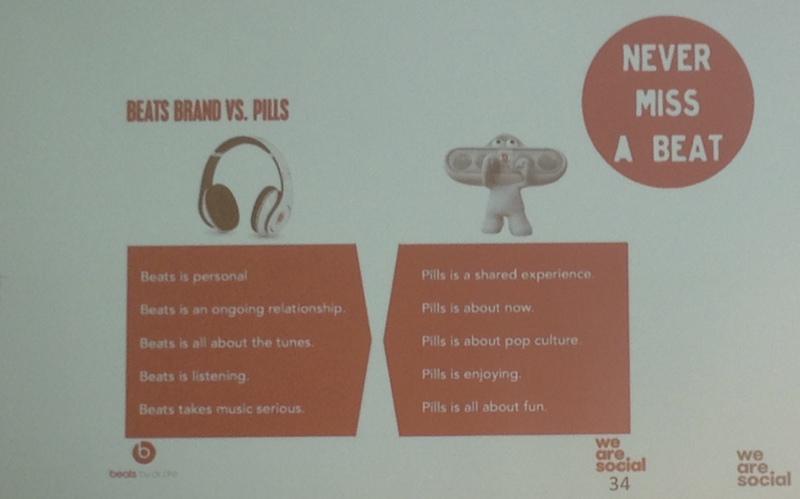 I love the way Beats by Dre use a WhatsApp group chat to discuss and approve content between client and agencies. 6 weeks has flown by and the secondment has been worth it. It’s a rolling thing so if you’re a civil servant and fancy it, keep an eye out for when applications open up again. I got caught out a bit in that recess (when MPs are on holiday so things are a little quieter) happened during my first fortnight and purduh (the pre European election period, so gov comms slow right down so as not to be confused with political comms) started in my last week. So if you get offered a secondment here, bear that in mind. All in all, a good experience and worth being away from home during the working week. That said, I am looking forward to starting back ONS but thank my hosts immensely for the experience. A lot of the stuff he talked about reminded me of our working together c2005-7 at an agency on the the Stella Artois account. Whilst technology has come on leaps and bounds since then (Twitter only launched around then) the principles of drinks marketing – activation, global & local, storytelling – have remained fairly consistent. I’ve moved sectors since then, but reading this blog reminded me how grateful I am to have worked with Jeremy and the Stella Artois guys. Looking back in a Sliding Doors fashion, I wonder where my career might be now had that not have happened.